DouYu, a Chinese live game-streaming platform, on Tuesday filed for a $500 million IPO. Why it matters: This may be the largest of what is about to be a flood of highly-valued Chinese companies going public in the U.S. This week features road-show launches for both So-Young (online plastic surgery marketplace) and Yunji (social e-commerce), while yesterday came an IPO filing from Luckin Coffee (whose $150m fundraise was our BFD just last week). Details: DouYu plans to trade on the NYSE (DOYU) with Morgan Stanley as lead underwriter, while backers include Tencent and Sequoia Capital China. The company reports a $127 million net loss on $531 million in revenue for 2018, respective increases of 43% and 200% over 2017. Video games are the next entertainment industry undergoing a major disruption, all the way down to the consoles and controllers. Details: "In the past, you plunked down $60 at GameStop for a copy of Grand Theft Auto or Madden NFL and played it out — after which you could trade it in or let it gather dust," the AP reports. "Now, you’ll increasingly have the choice of subscribing to games, playing for free or possibly just streaming them over the internet to your phone or TV." Why it matters: New subscription streaming services represent a massive shift from gaming into the cloud, which will make it easier to access games on any device, including mobile. 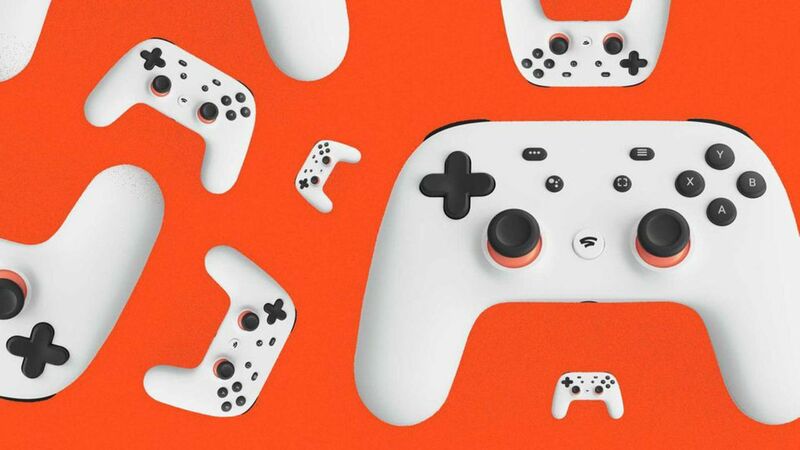 Google's Stadia platform, for instance, "will store a game-playing session in the cloud and let players jump across phones, laptops and browsers with Google’s software," per the AP. Apple Arcade "subscribers will get to play more than 100 games ... on the Apple-made iPhone, iPad, Mac and Apple TV." Snap Games will allow users to play real-time, multiplayer games with their friends, with new ad experience in games so all that "our (developer) partners can see monetization from day one." And for Fortnite, "a key aspect of the game is being able to play it on anything from your phone to a decked-out gaming PC." The big picture: Gamers wouldn't necessarily have to buy individual games anymore — they could buy them as part of a larger and potentially cheaper package — and it means that they wouldn't be limited to expensive hardware devices that only work for certain games. But all these gaming efforts are really contingent on technology partners' ability to broker deals with game developers to distribute their games.